ZOOM 9002 PRO Artists Edition Advanced Guitar Effects Processor. This unit will include the capacitor refurbish service and inspection. The PRO model was the last revision ZOOM made to the 9002 model. 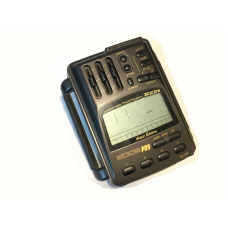 Although both are very similar with a linear 16 bit resolution D/A A/D processor the PRO had several electronic design and component revisions for noise reduction and power optimization. The PRO also has twice the amount of patch banks and the Artists edition is populated with patches by popular artists who used this model in recording. The Pro also features a bypass button which the standard unit does not have and is compatible with the bank switching floor switch FC02. This unit is tested fully functional, in perfect condition and comes with a 60 day guarantee. If you have any questions about this unit, dont hesitate to ask.